Thank you trusty YouTube for my ability to look this up and find the super cute and sweet acceptance speech. 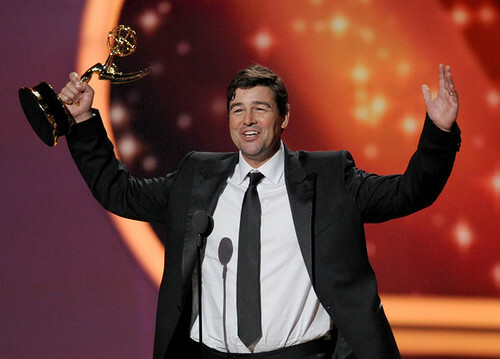 I think it was WAY cute that Minka Kelly got to present dear Coach Taylor with his well deserved award. I have been obsessed with this show for a VERY long time. I've watched the characters grow and learn and have cheered and cried through their wins and losses. I don't really know much about American Football but anything I do know I learnt it from Friday Night Lights and Coach Taylor (who could motivate with a perfectly timed speech, or just a look). It's nice to see after all these years it's finally getting the recognition it deserves. Grand Final here we come!